Even as 2016 continued to kill celebrities and shatter hearts, Donald Trump rose to own this year, and - many would say - shatter more hearts. It is no surprise then that TIME magazine has chosen the U.S. President-elect as its Person of the Year. "It’s hard to measure the scale of his disruption," TIME says. The critics of TIME are unaware that even Hitler was once Person of the Year. 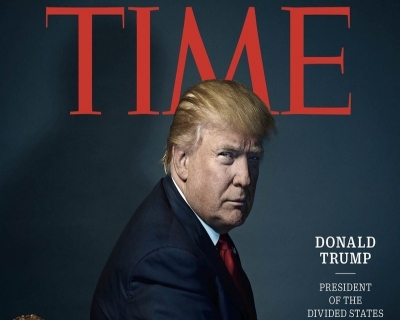 TIME, the weekly news magazine with largest global circulation, has named United States President-elect Donald J Trump as its Person of the Year for 2016. They have called him President of the Divided States of America. This epithet itself indicates the challenge that lies ahead for Trump in ‘making America great again’. The real estate tycoon and reality TV star completed one of the biggest upsets in American political history when he beat Hillary Clinton to the White House. Now, he has beaten Mrs. Clinton in the TIME list too, where she is (again) second to Trump. This is the 90th time TIME have named the person who had the greatest influence, for better or worse, on the events of the year. Last year’s pick was the German chancellor, Angela Merkel, and the sitting president, Barack Obama, appeared both as president-elect in 2008 and after securing a second term in 2012. Trump told NBC's Today show shortly after the announcement it was a "great honour" which "meant a lot" to him. This is a rare instance of Trump finding something praise-worthy in American media. He was chosen from a shortlist that included Mrs Clinton and Russian President Vladimir Putin. TIME's managing editor Nancy Gibbs said that the choice of Mr Trump was "straightforward". After all, the man has redrawn America's political rules. Why does TIME feel Trump is worthy of this honor? 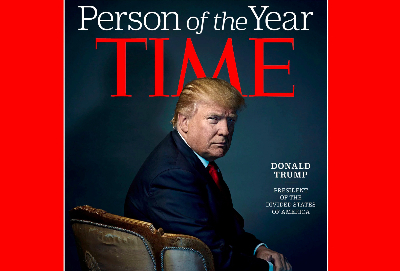 We did not need a TIME to tell us who is the Person of the Year. Did we Take any newspaper, take any global issue, before or after the US elections, chances are high you would not need to stress your eyes to spot Donald Trump written there. If they wrote it for a layperson, TIME would simply have said, love him, hate him, you just could not have ignored him in 2016. But they don’t write TIME magazine for laypeople. So, as eloquently as they could, TIME has explained the impact of Trump on politics and society. They say that Trump is the master of the art of “telling the story he wants to tell directly to the audience that wants to hear it”. That surely is the innovation of the year. For those who like Trump, his victory represents a complete rejection of the arrogant governing class; but for those who see it as bad for America, the destruction was made possible by Trump’s racism and sexism. The believers think he can deliver “broad, deep, historic change”; the hates feel he inspires fear “both for what he may do and what may be done in his name”. TIME says they award the Person of the Year to the one who made the maximum impact ‘for better or for worse’. If you read the fine print, it is difficult to not conclude that TIME has concluded Trump has changed the world for worse. They mention how much Trump has changed right after getting elected and why his supporters may discover soon the difference between what he talks and what he does. “In the days after the election, everything was negotiable: the wall became a fence, “Crooked Hillary” is “good people,” and maybe climate change is worth thinking about”. This is how they conclude their piece on the Person of the Year: For reminding America that demagoguery feeds on despair and that truth is only as powerful as the trust in those who speak it, for empowering a hidden electorate by mainstreaming its furies and live-streaming its fears, and for framing tomorrow’s political culture by demolishing yesterday’s, Donald Trump is TIME’s 2016 Person of the Year. As Trump would say, it is great, it is fantastic. They love him. When do the critics fail to see the truth? As with almost every news that bears the name of Trump, half the internet started slamming the choice of Donald Trump as Person of the Year. They are forgetting, of course, that TIME doesn’t honour its favourite person of the past year but recognizes the person who had the biggest political and/or cultural impact. As it so often clarifies, the profile covers whichever person, group, idea or object that “for better or for worse...has done the most to influence the events of the year”. TIME has dropped many hints in their profile of Trump to indicate whether it is for ‘better’ or for ‘worse’. However, the biggest hint is on the cover. It features Trump in a dimly lit setting and vaguely throne-like chair - much like Brando in The Godfather (and Trump was happy to get this shot done). Even more subtly, the TIME art fellows placed the president-elect's head squarely underneath the M in TIME, which creates a nice, subtle, horn-like touch. That is the symbol of devil. Moreover, TIME has an American bias. More specifically, it has a bias towards US President-elects. With a couple of exceptions, every President of the United States of America has been named Person of the Year, almost always in the year they are first elected. The issue started out of a practical problem. Over the week of New Year’s Day in 1928, the editors of the magazine struggled to find someone to write about during a slow news period — so they decided to feature one person who had been influential the year before. “This was an easy choice,” wrote then-publisher P.I. Prentice in a 1945, issue looking back on the decision. “Charles Augustus Lindbergh, who had soloed the Atlantic in only 33 hours and 39 minutes, was the hero of 1927.” The cover line dubbed him “The Man of the Year” and a tradition was born. Though Wallis Simpson became the first “Woman of the Year” in 1937, the title did not become gender neutral until 1999. Where are people disappointed with this result? Donald Trump has lost the popular vote again, and yet again it did not matter. On Tuesday (December 6), TIME announced India’s Prime Minister Narendra Modi was the Person of the Year in the popular category, after thousands voted for the Indian PM on their readers’ poll. Many Indians believed this to be the final result - India is a democracy after all. However, it was happily overlooked that the final decision is taken by TIME jury who refer to the poll result but are not bound by it. Not only did Modi win the polls, he won it by a margin that reminded of this phenomenal victory in the 2014 General Elections in India. According to TIME, “Modi won with 18 per cent of the vote when the poll closed Sunday at midnight. 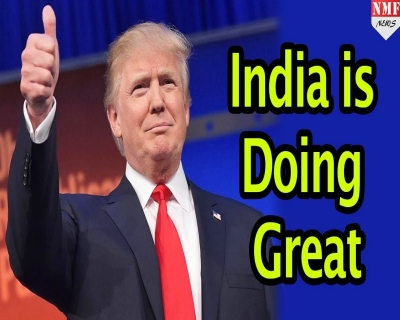 He placed well ahead of his closest contenders, including Barack Obama, Donald Trump and Julian Assange, who all received 7 per cent of the ‘yes’ vote.” The report also added that PM Modi also placed far ahead of other prominent persons like Mark Zuckerberg (2 per cent) and Hillary Clinton (4 per cent). This is what the magazine has to say of the polls - While TIME’s editors make the final decision about who is the Person of the Year, the magazine also invites readers to weigh in on who they think has earned the title. The online poll is a valuable way to see who Internet denizens think has most affected their lives. Even within the newsroom, very few people know who the Person of the Year or runners-up will be. The announcement is made publicly before the issue goes to the printers, to make sure no leaks ruin the surprise. Many Indians are angry, and justifiably so. They are asking why trouble the readers with this poll if they result is to be conveniently side-lined. Some even question if TIME selects the American Person of the Year. Or the White Person of the Year. Nationalism aside, the biggest newsmaker (some would say fakenewsmaker) of the year is Donald Trump. Narendra Modi’s biggest move for the year is the demonetisation of old currency notes - and it is too early to tell if it would have a lasting impact on India (it won’t do anything to the rest of the world). What Trump has done is reverberating across the globe - the nationalists, the anti-establishment activists, are rising - and winning. Modi won the Time Reader Poll. 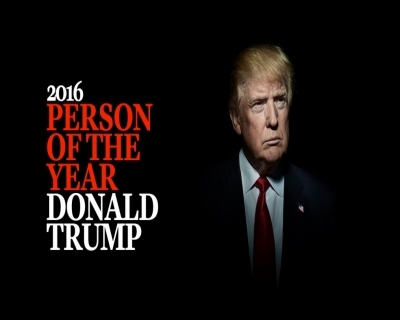 Trump won Time Person of the Year 2016. Kejriwal won Time Pass Person of the Year. Note: Modi had been featured on TIME cover page in May 2015. It was titled ‘Why Modi matters’. Who were controversial choices for Person of the Year? Despite the magazine's frequent statements to the contrary, the designation is often mistakenly regarded as an honor, and spoken of as an award or prize, simply based on many previous selections of admirable people. If there was ever a recipient to validate TIME’s claim that Person of the Year was not an "honour", it was the choice for 1938. Among other things, 1938 was the year Adolf Hitler "had stolen Austria before the eyes of a horrified and apparently impotent world". The closing words were prophetic: "To those who watched the closing events of the year it seemed more than probable that the Man of 1938 may make 1939 a year to be remembered." However, if TIME were true to their claims of choosing the one who make the maximum impact - positive or negative - they would not have chosen New York City mayor Rudolph Giuliani as Person of the Year for 2001 in the aftermath of the September 11 attacks. Similarly, Hitler should have been the Person of the Century (announced in 1999). What greater impact can one possibly have than destroying a good part of the world through a World War However, the jury ignored Hitler, choosing Albert Einstein as Person of the Century (followed by Mahatma Gandhi). The choice for 2006 was as weird as it was controversial. ‘You’ were the Person of the Year in 2006. Not kidding. "You" represented most if not all people for advancing the information age by using the Internet (via e.g. blogs, MySpace YouTube, and Wikipedia). The first woman to be named what had been until then the "Man of the Year" was Wallis Simpson (1936), the divorcee who had almost brought the British monarchy crashing to the ground. The only other women to reach the top TIME position are Queen Elizabeth II, German Chancellor Angela Merkel and former Philippine President Corazon Aquino. Note: Gandhi was TIME Person of the Year in 1930, the year he led the Salt Satyagraha, a 240-mile march to protest the imposition of taxes on salt by the British Raj. 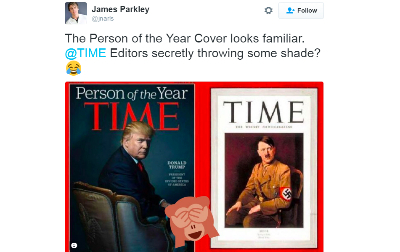 How has the internet responded to Trump being Person of the Year? As soon as TIME announced Donald Trump was its ‘Person of the Year’ for 2016, social media exploded with messages of congratulations and condemnation and humour that saw the hashtag #personoftheyear quickly begin trending in Canada and the United States. Vice-president elect Mike Pence was one of many who took to Twitter to congratulate Trump on the distinction. He just said ‘Congratulations’. Dear @time Any chance you run a #sexiestmanalive pageant I can't say I agree with your panel of judges but I like my odds. There have been 11 times when Time's Person of the Year wasn't a person. Make this 12. Horns. They have him horns. 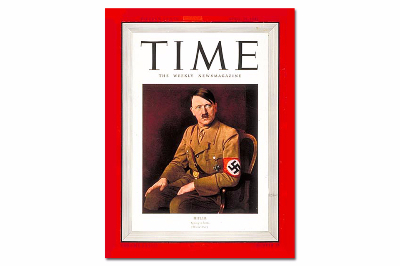 Maybe @time choosing Trump is just to give crazy lefties a chance to say, "Hey, Hitler was named Man of the Year, too." “To be on the cover of Time as Person of the Year is a tremendous honor,” Trump told Matt Lauer of the Today Show in an interview after the announcement. However, Trump expressed his displeasure with the magazine’s choice of words to describe him. He reiterated his stance by saying, “I think putting ‘divided’ is snarky,” Trump said. Interestingly, this is Trump’s 10th time on the cover of TIME. He had been there before, but never as Person of the Year.